We Post Your News and Network It! Cool iPhone Apps, Accessories and News specializes in publicizing or introducing apps for developers and showcasing them to our readership, social network followers and app lovers. We are dedicated to presenting the public with fair, succinct information on all apps. We commit to represent developers fairly with no prejudice or bias involved. Apps that are featured are of a promotional nature, listing from the App Store the features, specs, images and video of the app, along with Developer contact information. Alternately, apps that are reviewed carry an in-depth look at all aspects of the app. You may also order a Press Release post, or simply request your item linked on our site. If you wish to provide Promo Codes, we can tweet your app for randomly selected winners. We randomly select apps to feature from a list of those which developers have contacted us about. To feature ($25) or review (prices vary) your app as explained above, just let us know. There are minimal fees for some of the services, time and conscientious effort involved in representing you and social networking your app. Let us post a brief attention grabber widget box for your product, app or site in several places on our site, all on Home Page and every page. Place boxes on the top of page in header banner box, right sidebar or inline with or without a graphic of your app with link. 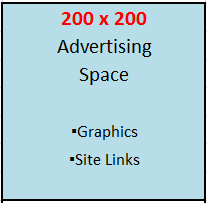 Our advertising prices are minimal and you will get great coverage from our readership. You can find us on Facebook, Twitter, Pinterest and Instagram as shown below. 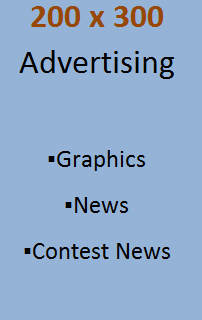 Contact us at: cooliphoneapps1@gmail.com to place advertising boxes for you. We are flexible and can work with your graphics or verbiage that do not fall exactly in these guidelines. Ad rates are for a 14-day term, but can be extended with price adjustment. All work will be completed within 7 days of payment to Paypal at cooliphoneapps1@gmail.com. Contact us at cooliphoneapps1@gmail.com to see how we can best help promote your app, service or product.